In the hours, weeks and months that followed the tweet, some recounted their experiences in harrowing detail. Some shared fresh stories, others old memories. Some named their accusers. Others simply said, "#metoo." Still, just weeks before the anniversary, the U.S. Senate confirmed Judge Brett Kavanaugh to the Supreme Court despite multiple allegations of sexual assault. Some advocates and survivors saw his confirmation as an insult to the movement and its gains, others a reminder of how much works still needs to be done to secure gender parity in the United States. All said they're hopeful for what the future holds. A year later, a look at the movement, where we are now, and where we go from here. 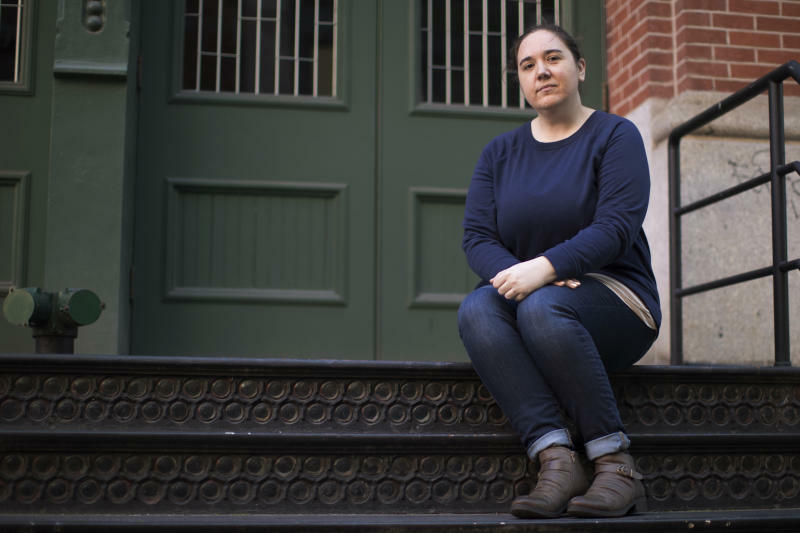 One day after Milano's tweet Katie Labovitz, a 34-year-old writer living in Queens, shared a story about being sexually assaulted by a Donald Duck mascot at Epcot Theme Park when she was a young teen. "The person inside the Duck at EPCOT groped me when I was 15," she wrote. "I'm sorry mom that you're reading this," she wrote. Labovitz said she didn't talk much about the Donald Duck incident, but it continued to haunt her into adulthood. "It was kind of expected that you go on with life, because that's what you do." But, she pointed out, "It's been 20 years. It just sticks with you." She said she decided to share to try to comfort other survivors, something she wished she'd had years ago. She said she was surprised how many friends told stories she hadn't heard before. "We all just kept it in, it was nice to be able to be public about it," she said. "It's nice to be supported. I wish I could have been more supportive for others but we all kind of kept it to ourselves." She called the initial tweet storm a "kind of outpouring of love and support even though it was all surrounding this terrible thing." It's also been vindicating, she said, to see powerful public figures — Weinstein, Bill Cosby, Larry Nasser, to name a few — charged with crimes. But there have been disappointments: Kavanaugh's confirmation to the Supreme Court amid multiple sexual misconduct allegations is a prime example, she said. "I think I thought more would have happened in a year," she said. "There's no instant gratification, and I get that. It's not going to happen overnight. We're being seen, and we're being heard. There's still a lot to do." 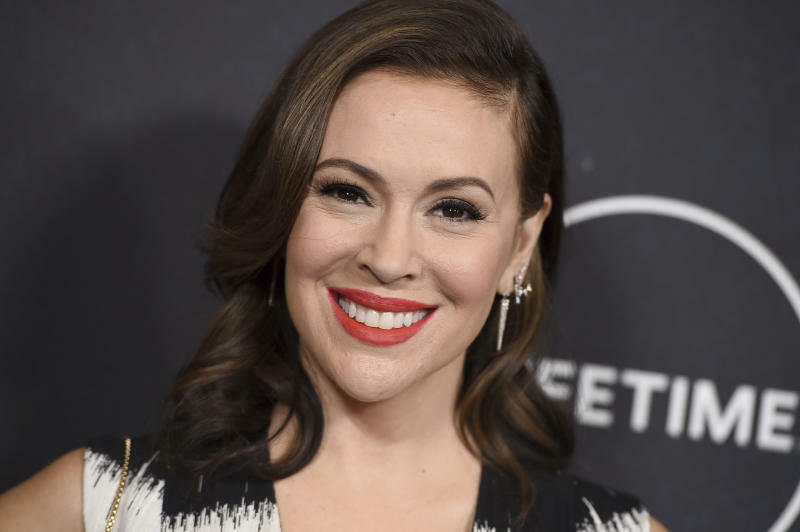 Hana Hentzen was just beginning to come to terms with her sexual assault when she saw Milano's tweet and the flood of responses it inspired. Two months after Milano's tweet, Hentzen found a way to be heard. An 18-year-old college student at American University in Washington, D.C., she decided to participate in a Reuters photo essay. In the photo, she wore a white T-shirt with "GIRL POWER" emblazoned across the chest in bright red letters, with a rose where the O should be. "I just felt really empowered to tell my story for the first time," she said. Although she'd seen the statistics Hentzen said she was stunned by the sheer number of women who spoke out about being harmed, assaulted, harassed or objectified. "Logically, I knew I had friends, I had relatives, I had a lot of survivors in my life but it's just something you never talk about. Something that I really liked was that you could share your whole story, or you could just share those two words." "I wanted her to see a Hijabi, somebody that looks like her," she said. A year later, Hentzen said Kavanaugh's confirmation shows how much work still needs to be done. "That has been really difficult and disappointing. What's the point of this movement if we aren't able to hold our elected officials accountable to survivors?" she said. "A year ago, I wouldn't have felt I could talk about it in person," she said. "It's definitely been validating and it's helped me." "Survivors are speaking up now and I don't think that's going to change. This movement has sparked a fire in survivors and we aren't going to shut up. ... We've just gotten started." "The chief of staff held my face, kissed me, and stuck his tongue in my mouth," Speier said in a video posted to her YouTube channel last October. "So, I know what it's like to keep these things hidden deep inside." 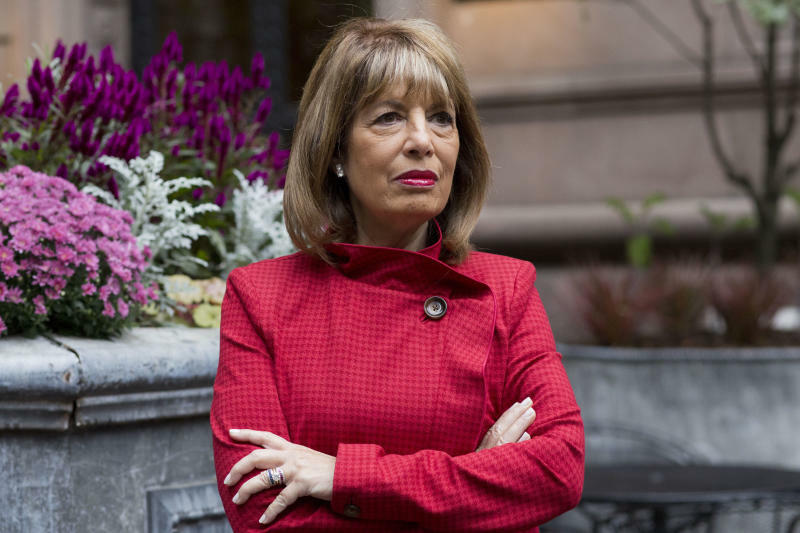 Speier's story shed light on what she described as "a breeding ground for a hostile work environment." "It's been a time of highs and lows," she said, speaking just hours after the Senate voted to advance Kavanaugh's nomination. "Our country culturally has not come to grips with the devastation that sexual violence does to people, men and women. And the optimism that we had last fall and into this new year has been dampened by the last few weeks." Speier said she decided to share her story last year "because I wanted women in Congress to know they can come and talk to me and they would be safe and I would have their backs." But the story she shared publicly isn't her only MeToo experience, and talking openly about her harassment brought back other painful memories. "I can tell you the way I've coped with it throughout my life is to compartmentalize it," she said. "That's what victims do, they compartmentalize. They suppress it. And then something will hit them, and it resurrects all the trauma associated with it." "It created an 'a ha!' moment in understanding why I'm so passionate about all these issues." Speier said she's hopeful the movement won't slow down. "This is an incredibly long slog," she said. "There is reason to feel very depressed today. But on the other hand, I have to brush myself off and start all over again. It has to be the beginning." "I WAS WORRIED ABOUT TELLING MY DAD"
Quianna Taylor never told her parents about the sexual assault that happened in college. After all, her mother had already had to deal with her first assault, which happened when she was 7 and was molested by a neighbor. It wasn't that she was hiding it. The timing just never felt right. In fact, Taylor, 36, didn't tell anybody about her second assault until about three years ago. She was afraid she'd be blamed. "We always think girls are old enough to know better," said Taylor of Hyattsville, Maryland. But when the MeToo hashtag began to take on a life of its own, Taylor decided "enough is enough." She tweeted, not about her assault, but about the aftermath. "We have to change the culture around consent," she said. "Me just saying my small piece gives somebody the courage to know they can if they want to." The experience of seeing so many women openly share stories of being abused or violated is liberating. But it's also disheartening, she said. "So many of us, women and men, have had this happen," she said. But "there's a whole unification that comes in understanding shared trauma." Taylor credited the #MeToo movement with creating the space she needed to be able to tell her parents about her attack. She didn't go into detail or tell them everything. She said it happened and she wasn't OK for a long time. But she assured them she's OK now. "I was worried about telling my dad," she said. "I was worried about how this would make him feel about failing to keep me safe." That didn't happen, though. Instead, he told her he was sorry, that he wished he could have done something and that he loved her. She said her mother's response to her disclosure felt familiar; she'd been through her own sexual assault. "Her hurt was the hurt of a victim with another victim," Taylor said. Taylor said she's encouraged by the public outcry, and the fact that powerful men are being held accountable. She said she's hopeful that as the movement continues to gain momentum, more survivors will share their stories without shame or the fear of alienation. "We're at a place where we're starting to examine, why don't we believe women?" she said. "What does justice for these people look like? I don't think we were culturally in a place to do that even 10 years ago." "We've got to keep forging ahead," she said. "What's the alternative?" Along with the hashtag #whyIdidntreport, he told of being groped by a co-worker when he was 18 years old. He was living as a woman at the time_it happened before his transition. Now 31, he'd kept the secret for 13 years, even from his wife of a decade. He shared his story last month, on Sept. 23. Neimeier said the disclosure brought up painful memories of the episode, as well as other abuse he'd suffered as a child. But hard as it was, he said he doesn't regret the decision to share. "I was on Facebook and I saw another transman post a #MeToo. And I decided I would post one, too. Because I felt it needed to be said that it's not just women who have gone through this," he said. "It's a smaller percentage of course, but there are biological men that get abused, there are transmen that get abused, there are transwomen who are abused. So many people are the victims and survivors of abuse and don't tell anybody and if you hold onto this, it just destroys you." "I was scared of judgment, that it would make me less of a man," he said, "to publicly come out with a story that is traditionally for biological women." Despite the pain of revisiting his assault, Neimeier said he's glad he did. The more stories shared, the harder it'll be to ignore the pervasiveness of the issue, he said. "I felt it was important to say something, even if it was public, to say this is not just a biological women's issue," he said. "I don't think as a society we can change without survivors saying, 'This happened to me and it's wrong," he said.